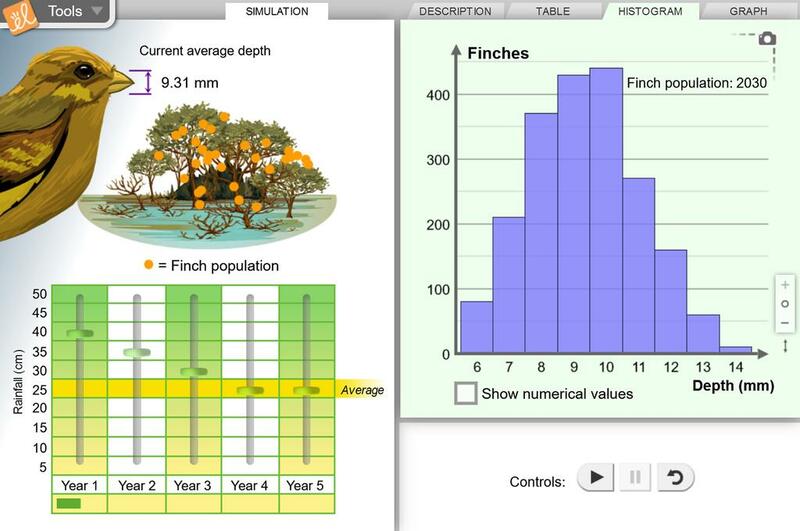 Study the thickness of birds' beaks over a five year period as you control the yearly rainfall on an isolated island. As the environmental conditions change, the species must adapt (a real-world consequence) to avoid extinction. Question to try: What conditions would spell disaster for the finch population? Why?